Welcome to West Hendersonville Baptist Church. Our mission is to reach to the Hendersonville area for Christ through Biblical preaching and teaching while providing ministry and service to the community. Travis and his wife of 50 years, Diana, are orginally from Mississippi but have lived in Western North Carolina for the past 30 years. 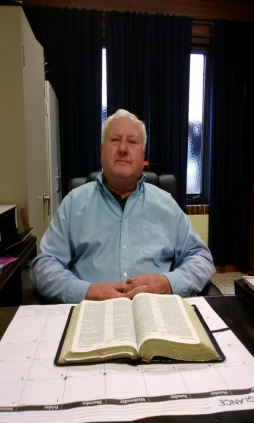 Travis has degrees from Fruitland Bible College and Liberty University and has served as pastor for a number of local churches for the past 20 years. He and Diana have three sons and 13 grand children and enjoy the outdoors, reading, and spending time with family. Terry and his wife, Judy, have two sons, Chris Baker and Craig Baker; and three grandsons, Corbin, Gavin and Tristan. Born in 1949 to Bill & Ruth Baker, Terry grew up in Greenville, S.C. His father and mother started the Melodyaire Quartet in 1952. His mother, Ruth was a Lewis and related to the Lewis Family gospel bluegrass group. 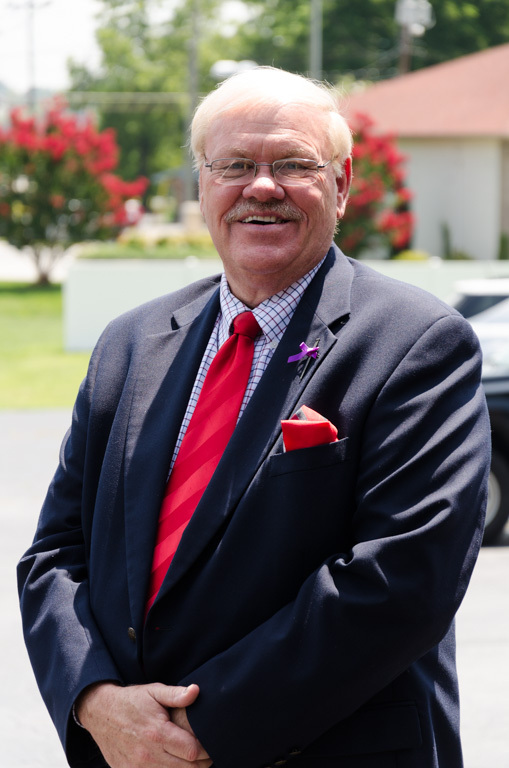 Having been in music all his life, Terry has sung in churches in every state except Alaska and Hawaii while traveling on the road with a group for over forty years. He enjoys teaching music in addition to singing and directing. Terry also likes to build things around the house and spend time with his wife and family. Debbie and her husband, Ronnie, have four children; a son, a daughter, a step-son, and a step-daughter. They also have eight grandchildren, and one great-grandchild. She is originally from Dyer, Tennessee, and grew up in Cleveland, Ohio, but has called Hendersonville home since 1987, when she transferred with the New York Times Regional Newspaper Group from the Daily News in Middlesboro, Kentucky to the Times-News, from which she retired as Retail & National Advertising Manager, in 2007. She enjoys interior decorating (especially cottage style), gardening, reading, and singing with the Worship Team and choir at Balfour Baptist Church, where she has been a member for many years. Family: Robert (Bobby), husband; married at WHBC on June 8, 1979. Margaret is a lifelong native of Henderson County. She went to Jones Gap Baptist Church and played the piano there for a couple of years when she was 13 & 14 years old. One of her fondest memories is of her Aunt, Louise Levi, who played the piano at Jones Gap for around 40 years. In fact, her Aunt, whom she fondly called “Dezi” was her inspiration for playing the piano. Margaret started playing the piano here at WHBC when she was only 15 years old and continued playing here for the next 35 years. Some fond memories of those years are playing duets… she on the piano and Glenn Connor on the organ. They played piano and organ together at WHBC for around 25 years. Margaret also fondly remembers attending church with her beloved Mother, Rachel Huggins, who was a true inspiration and Christian role model. Margaret has two older brothers: Wayne Huggins (wife, Cathy) of Woodbridge, VA, and Fred Huggins (wife, Martha) of Hendersonville NC. 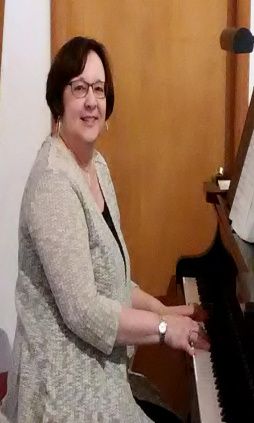 She is an avid cat lover, loves to read, play board games and watch movies with her husband, and of course….. play the piano. Margaret has been employed by the State of North Carolina, N.C. Dept. of Public Safety, Section of Community Corrections for the past 24 years. Her current position is Personnel Technician in the Division 4 Office of Probation/Parole in Asheville, NC. Margaret’s life verse is Proverbs 3:5-6 (NKJV): Trust in the LORD with all your heart, And lean not on your own understanding; In all your ways acknowledge Him, And He shall direct your paths.